In this post I will summarize what has recently happened to my portfolio in the last 30 days. This post will be more of just numbers and summary. Not a lot of analysis as I am on holiday right now overseas. Here are some of the market metrics to see what has recently happened in the market. 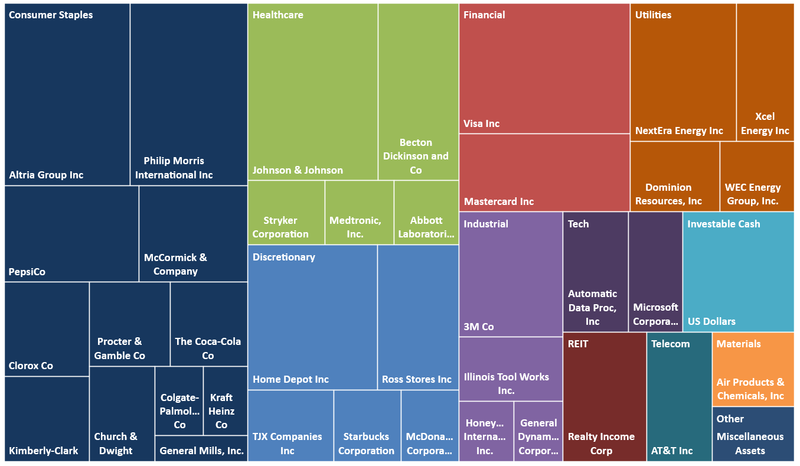 The S&P500 is growing strongly in the summer (so far). Bond yields have gone up. The dollar remains a bit stronger than before. Crude oil continues an upward trend. Below is my portfolio. JNJ is now my #1 position. I recently added a few thousand dollars to it. Visa is slowly climbing up as well as the capital gains on my position are quite large. 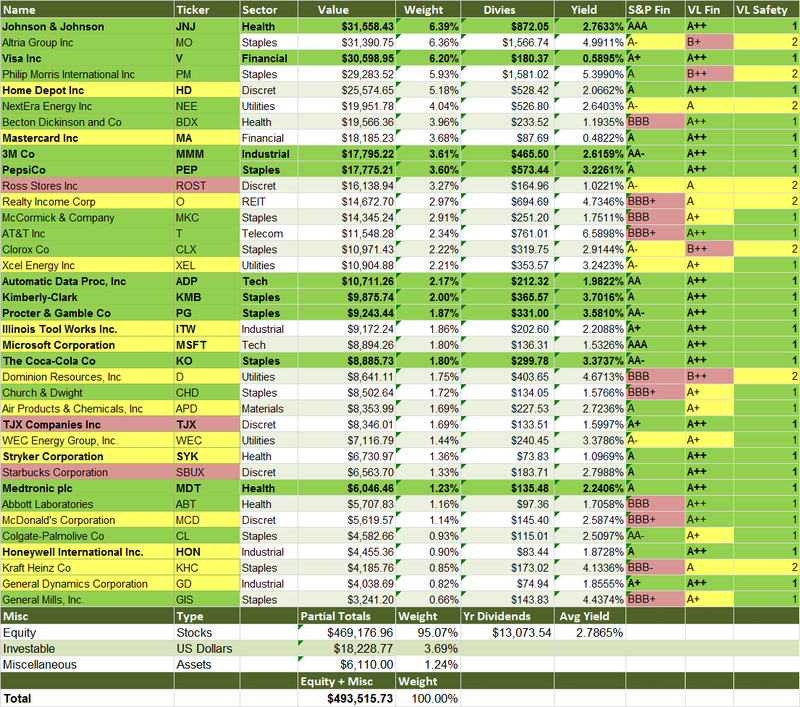 Overall portfolio value is increasing quite fast as the S&P500 gained a lot in the last few weeks. I am very close to 1/2 million dollars. 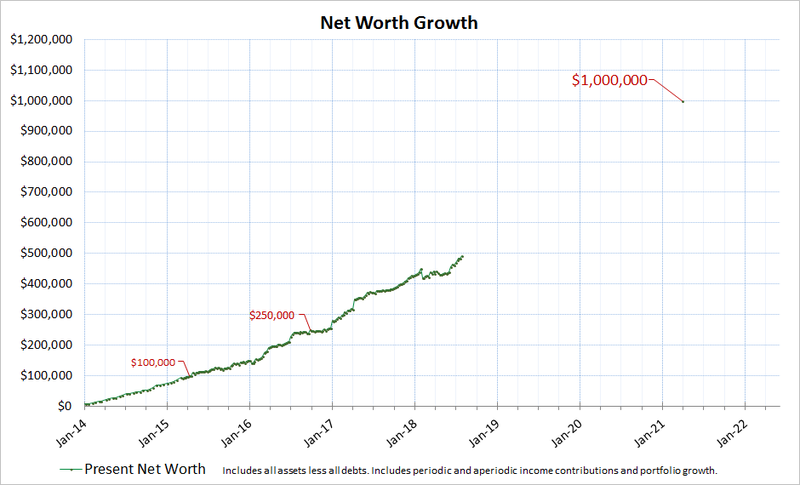 Right now I sit at $493,000 and the portfolio recently broke $13,000 a year in dividend income. Charts are shown below. I think the pictures describe a lot on their own so I won't be commenting too much this month. Love these charts YD - the pictures say enough as it is! 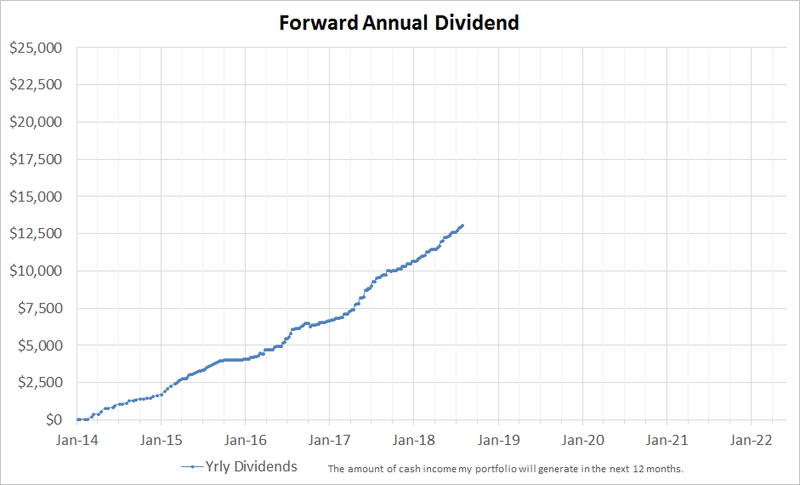 Those forward dividends are looking pretty juicy. Keep up the excellent work!